Among the models bearing out bmws claim to make the fastest sedan in the world was the europe-only m535i, which could reach 143 mph. There were actually two: The 1979-80 version and the one rereleased in 1985 and discontinued with the advent of the m5. Neither should be confused with the tamer 5351, which was made available in north america. 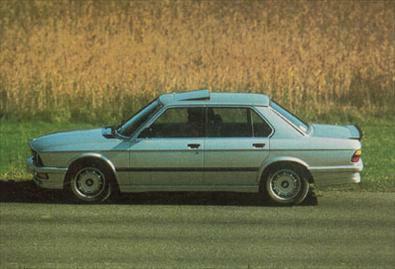 The 1979-80 bmw m535i was a midsized sedan with few visible signs of the awesome power under the hood.